Four children of Turkmen ethnicity from Ninewa’s western district of Talafar were reunited with their relatives after they were freed from Islamic State (IS) captivity in the group’s last territorial pocket Baghouz by Syrian Democratic Forces SDF. He added that one of his daughters who is 14, was freed during the battles to retake Mosul in 2017 while the others remained missing. 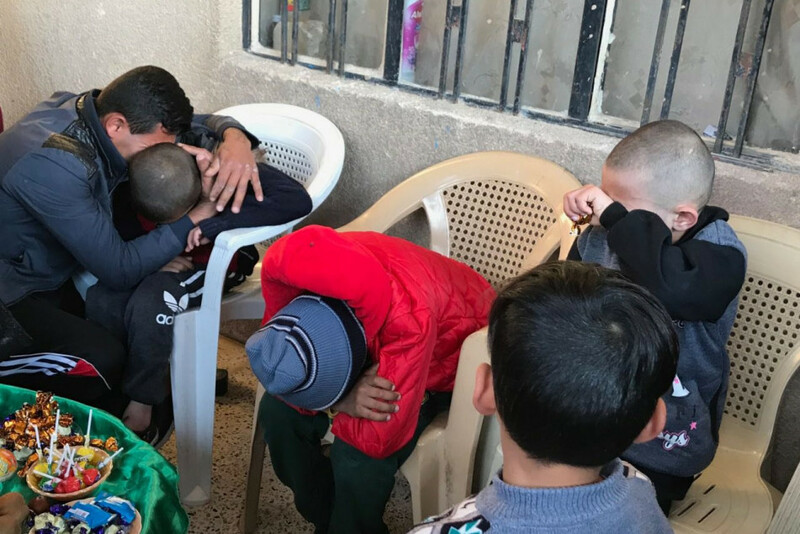 The newly freed children arrived in Talafar on March 12, 2019. “Three of my children named Khalil, Ahmed and Ali who are under 13 were rescued by SDF fighters on March 6th, and today we were reunited, meanwhile, the fate of my wife, two of my sons and one of my daughters is unknown”, said Mustafa. The Iraqi Popular Mobilization Forces PMF Operations Command in Ninewa announced on Tuesday, March 12th that they have supervised the return of 16 kidnapped children from Syria. “16 children among them 12 Ezidis from Shingal and 4 children from Talafar were brought back safely to their home areas”, the statement added.